How do you involve children in a design process extracting their ideas for implementation into architecture and design solutions? In collaboration with Smith Innovation All About A was invited by the Polytechnic Museum Moscow to involve children in the future museum design for the south courtyard of the museum. The Polytechnic Museum is undergoing a major reconstruction these years. The goal of the museum is to become one of the world’s leading Science and Technology Museums for visitors of all ages. As a part of the new design, the Museum wishes to integrate knowledge of children’s preferences and learning-patterns. 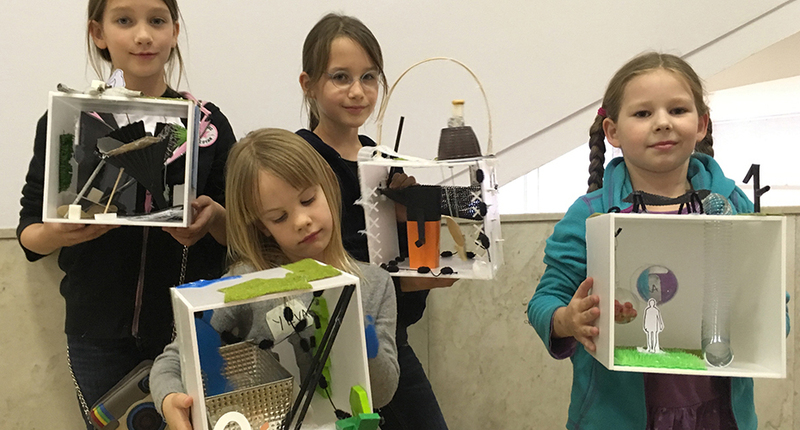 To support this ambition, the Polytechnic Museum engaged with specialists in children and architecture, All About A, and innovation-specialists, Smith Innovation, to facilitate a program including a series of master classes for children in Moscow. The program focused on the children’s ideas for learning and activity zones qualifying the museum exhibition design approach towards children. The key findings from the master classes have been condensed into 6 design principles for the museum and a film with extracted interviews have been produced. The models from the master classes as well as the film will be part of an exhibition May 2019 in Moscow.